Based on the animated TV series from the 1990’s, Kotobukiya presents the Marvel Universe X-Men ‘92 Cyclops and Beast 2-Pack ArtFX+ Statue! 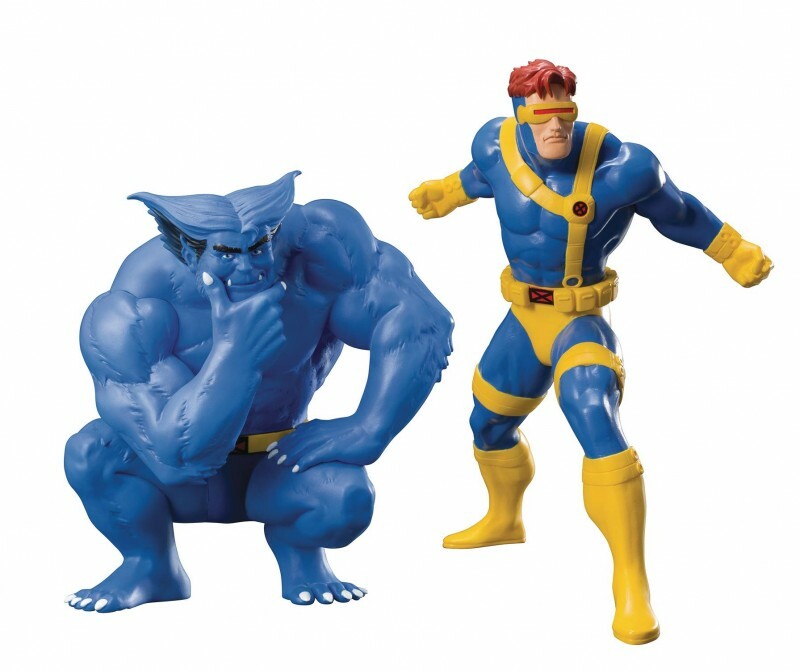 The statue’s thorough design and bold paint colors give it a vintage feel, making Cyclops and Beast look like they jumped straight out of the X-Men animated series. The simplistic designs provide the optimal balance of quality and value, and the packaging resembles toy packaging from that era for added nostalgia. The figures do not come with the magnets in their feet or the ArtFX+ metal base.